Outside, all the world is at war. But in 1941, an exhausted and gloomy peace reigns within Spain, as the country tries to recover from the civil war two years earlier, and settles down under the dictatorship of Francisco Franco. At least, that is what Carlos Tejada, a lieutenant in the Guardia Civil, and a supporter of Franco and the seemingly invincible Axis powers, would like to think. Tejada's recent marriage to a leftist supporter of the defeated Republic has left him under a cloud professionally, but he is confident that a transfer to the remote Cantabrian village of Potes -- where his wife's compromising political views are not known -- will provide a new start. He is doubly happy with the transfer because it is a promotion to his own command. Tejada discovers his mistake as soon as he arrives in Potes. The valley where the town sits, surrounded by peaks and accessible only trhough a narrow gorge, is a world unto itself, where the bitter civil war is still being fought. Left-wing guerrillas are operating in the mountains, and receiving substantial support from the townspeople. The Guardia are suffering casualties, and Tejada finds a frightened and demoralized post, where his position puts his own life in danger. The tension between the anti-fascist guerrillas and the fascist Guardia Civil also begins to drive a wedge between the lieutenant and his wife. 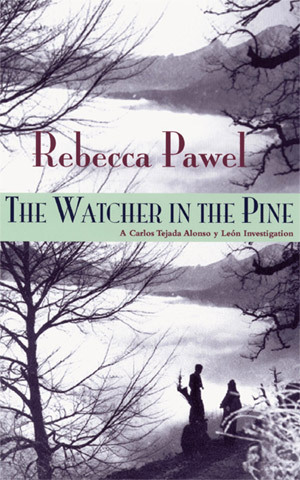 Elena Fernández de Tejada's sympathies lie with the townspeople, but they treat her with suspicion. The capture of a young guerrilla strains Elena's loyalties to the breaking point, and an apparent victory for the Guardia sets off a chain of events that threaten to deprive Lieutenant Tejada of all that he holds dear.